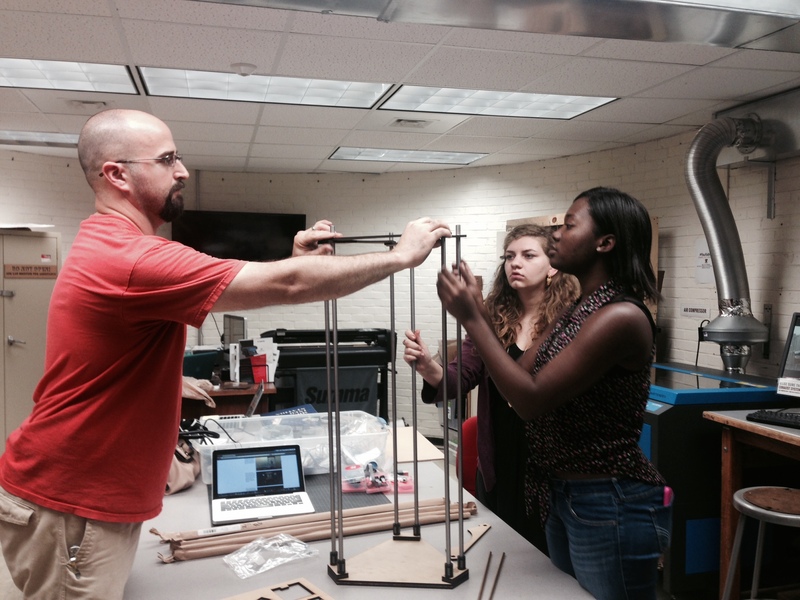 The Ceramics Program is building a Delta 3D Wet Clay Printer to use for a workshop with Jonathan Keep, a UK based artist and 3D print innovator who will be here Oct 11-18th. 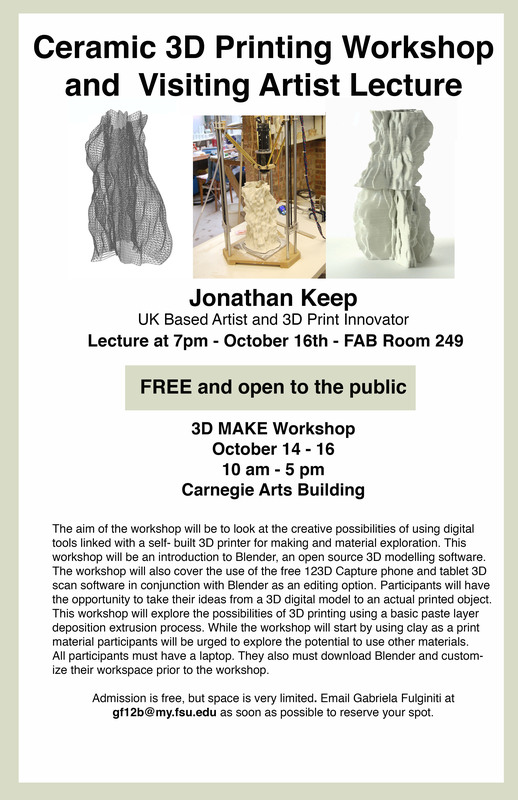 The aim of the workshop will be to look at the creative possibilities of using digital tools linked with a self- build 3D printer for making and material exploration. 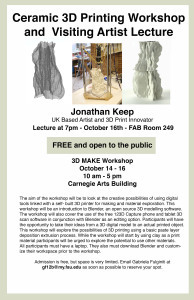 This workshop will also cover the use of the free 123D Capture phone and tablet 3D scan software in conjunction with Blender as an editing option. Participants will have the opportunity to take their ideas from a 3D digital model to an actual printed object.This workshop will explore the possibilities of 3D printing using a basic paste layer deposition extrusion process. While the workshop will start by using clay as a print material participants will be urged to explore the potential to use other materials. All participants must have a laptop. They also must download Blender and customize their workspace prior to the workshop. Admission is free, but space is very limited. Email Gabriela Fulginiti at gf12b@my.fsu.edu as soon as possible to reserve your spot.